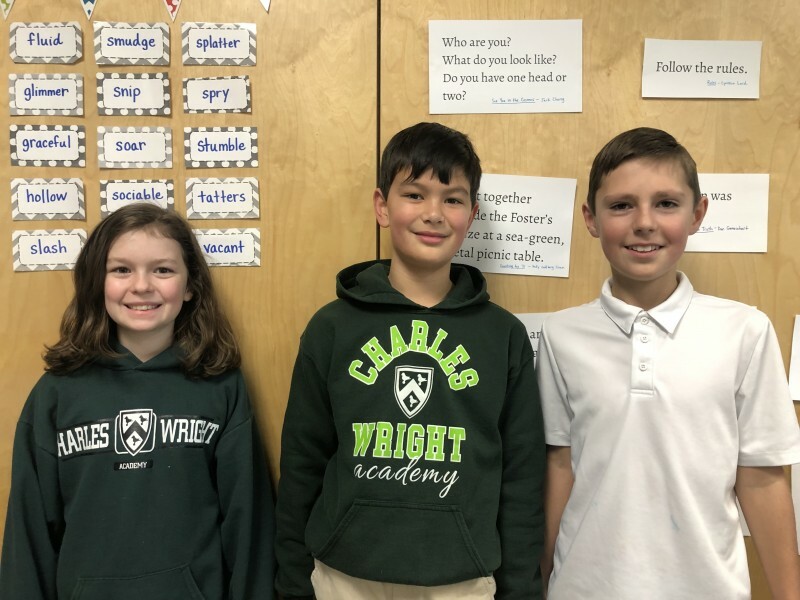 Two students representing Charles Wright Academy recently received a perfect score in the first of three meets in this year’s WordMasters Challenge™—a national vocabulary competition involving nearly 150,000 students annually. Competing in the difficult Blue Division of the WordMasters Challenge™, fourth grader Kyle Peterson and fifth grader Madeline Raney each earned a perfect score of 20 on the challenge. Nationally, only 31 fourth graders and 94 fifth graders achieved this result. Other students from Charles Wright Academy who achieved outstanding results in the meet include fourth grader Ryan Judge. The students were coached in preparation for the WordMasters Challenge™ by Jeremy Clark, Carie Ward, Carrie Cherek, and Karen Thompson.